Military garb tends to be more tactically sound than casual clothing. Even military-inspired clothing has something of a tactical edge. Nothing demonstrates that quasi-tactical bent as well as the Plus Size Camouflage Combat Jacket. Even though this jacket is modeled after a classic military jacket, it is still only a costume item and not an actual piece of field gear. Despite this, it still has its tactical uses. 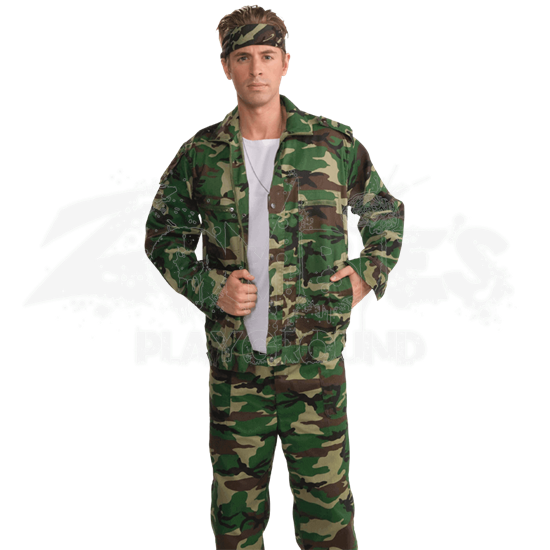 This jacket features a classic camouflage pattern that is made up of various splotches of black, brown, and green in various shades. The jacket features a folded collar and combination front that features zipper and button closures. The jackets shoulders have buttoned shoulder straps, while the front of the jacket features zippered chest and hand pockets for securing any gear you might need to keep secured on your person. The jacket is available in one size, which is sized to fit up to a 48 inch chest. Only the jacket is included, and the pictured headband and tank top can be purchased separately. 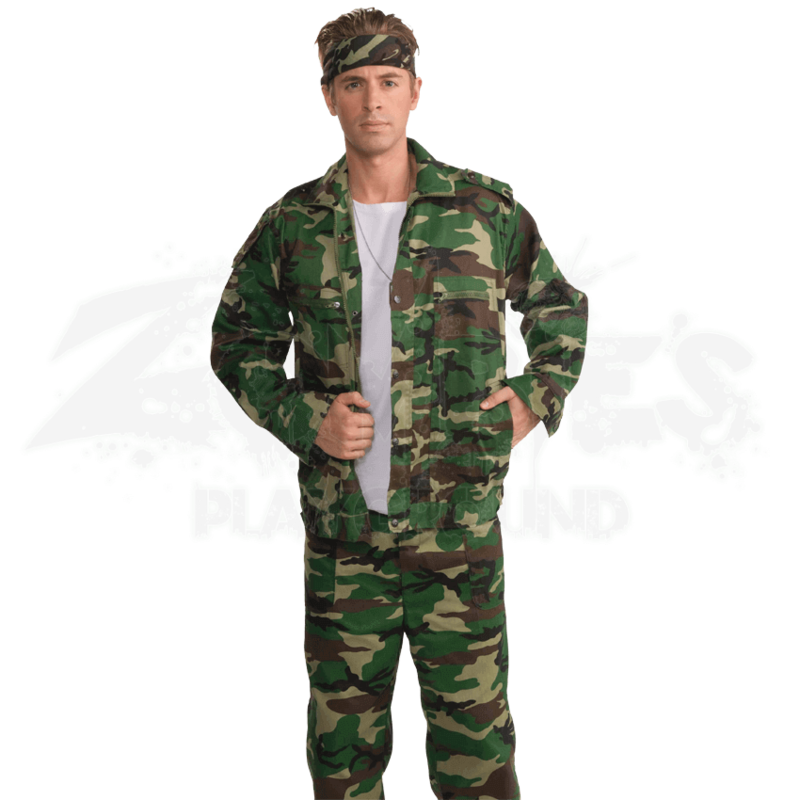 This Plus Size Camouflage Combat Jacket is a great way to make yourself start to look like a soldier, as well as a fantastic jacket that is perfect for any zombie survivor to wear, especially when they are looking for a little extra carrying capacity.